Storksak's first ever vegan leather bag! 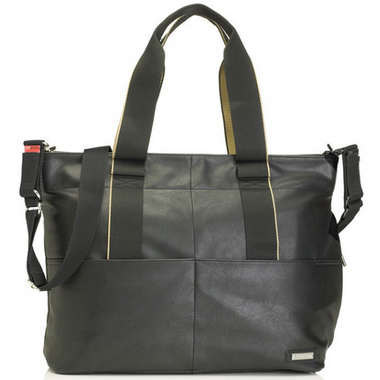 The Eden was designed to bring about style and quality whilst offering a great alternative to leather. 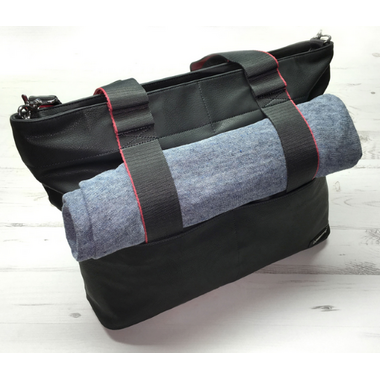 This luxurious, buttery soft leather-free carry all bag, offers the great look of leather whilst being lightweight, wipe clean and durable - it doubles up as a great bag for the gym or weekend away. The spacious interior with multiple pockets is perfect for tucking away all your essentials, and the sleek and minimal design is modern and easy to wear. The Eden also has a built in zipped side insulated bottle pocket, oval luxury machine washable padded changing mat and a grab handle for easy carrying. With its double sided webbing with sleek contrasting colour, the elasticated smart straps allow for easy storage of your jacket, baby’s blanket or even Yoga mat! Dimensions: H36" x W51" x D14"